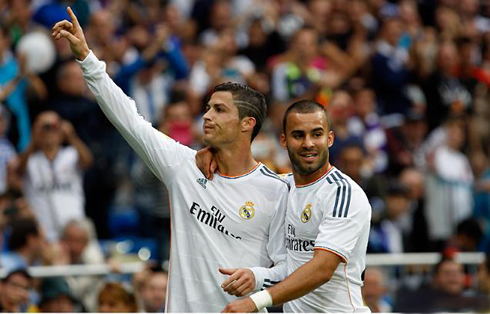 ﻿ Jesé Rodríguez: "Cristiano Ronaldo will win the FIFA Ballon d'Or"
08.01.2014 » Jesé Rodríguez: "Cristiano Ronaldo will win the FIFA Ballon d'Or"
Real Madrid's wonder boy, Jesé Rodríguez, has recently commented on the upcoming FIFA Ballon d'Or 2013 award, stating that he has no doubts that Cristiano Ronaldo will get crowned as the best player in the World. The FIFA Ballon d'Or ceremony takes place in Zurich, next Monday (January 13, 2014). We're only 5 days away from the FIFA Ballon d'Or gala (January 13) and from knowing who will be rated as the "Best Football Player in the World" of 2013. Right after Real Madrid latest win against Celta de Vigo earlier this week, it was Jesé Rodríguez time to cast his opinion on the issue and claim that his teammate Cristiano Ronaldo is definitely on the winning track, despite the competition he has against from Barcelona's Lionel Messi and Bayern Munich's Franck Ribery. Moreover, Cristiano Ronaldo himself has also confirmed he will be attending the FIFA Ballon d'Or gala next Monday, so we're surely all set for a memorable evening regardless of the final outcome. Jesé Rodriguez: "Everyone here believes Cristiano Ronaldo is the best and I'm pretty sure he'll win the FIFA Ballon d'Or", pointed out the 20-year old forward who has been winning his space in the team, week after week. In a short chat with Real Madrid's official website, Jesé also left a few remarks about last Monday's game against Celta de Vigo, where he came on from the bench to spark his team. Jesé Rodríguez: "In the first half, we did struggle a bit basically because they managed to play in a very compact way at the back. However, after me and Bale got in, we were able to explore the gaps and spaces on the pitch and fortunately we ended up making a positive difference. It's important to feel we can help the team, and that should always be our mentality", added the Spanish U21 international. 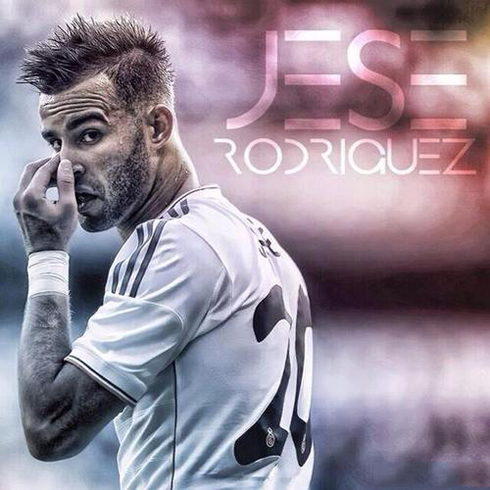 Jesé Rodríguez: "I think we have a very healthy competition inside the team. We simply have to respect our manager's decisions and keep working hard, day after day. We'll get more chances if we keep doing our best...", anticipated the Canterano, who has already 2 goals and 3 assists for Real Madrid's first team, in the current season of La Liga. Cristiano Ronaldo next game for Real Madrid will be against Osasuna, for the Copa del Rey first leg (January 9, 2014). You can watch Juventus live stream, Real Madrid vs Osasuna, Barcelona vs Getafe, Manchester City vs West Ham and Tottenham vs Crystal Palace, all matches provided from our football live section.